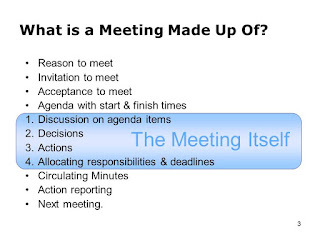 I have done a bit of writing about effective meetings, from a number of perspectives - here, here, here, here, here and here - but what I haven't done is posted a video which I put together some time ago about these topics. The following clip takes us through what makes an effective meeting; what a meeting is made up of; how to run a meeting; what effective leading looks like; what effective following looks like; how to follow your chair; effective follower communication; reasons to attend meetings; problems with meetings; the benefits of meeting etiquette; what New Zealand meeting etiquette looks like; and what constitute good manners from meeting attendees. 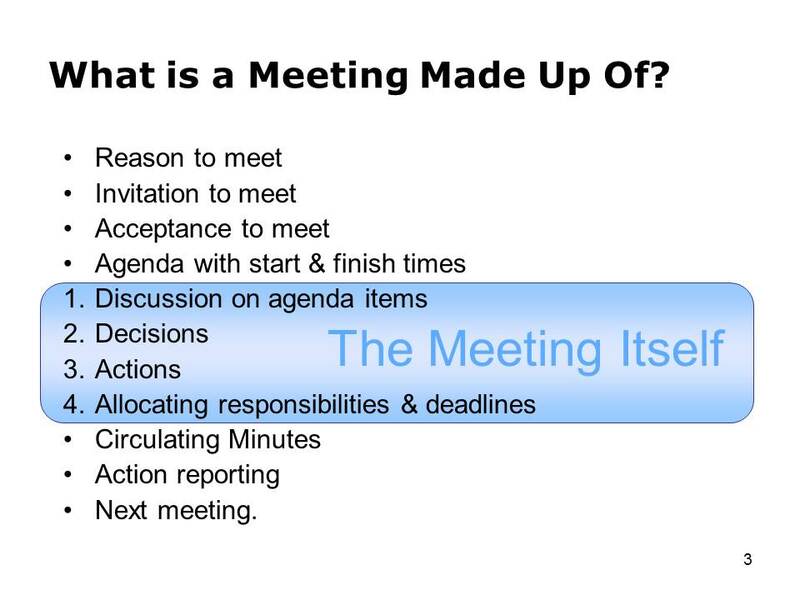 ...I think this provides us all with a good over view to what a good meeting should look like.